Love And Theft are preparing to travel overseas to entertain Sailors serving abroad with the U.S. Navy. The duo, in partnership with Navy Entertainment, will perform a series of shows later this spring. This tour marks their second trip with Navy Entertainment. Their previous stop included shows in the Middle East. 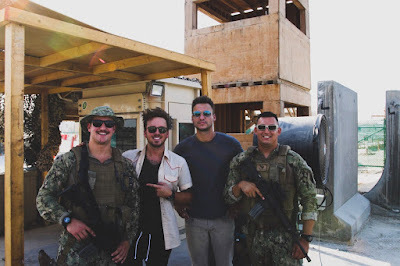 “We absolutely love the shows we do overseas for the men and women who serve our country,” says Love And Theft’s Stephen Barker Liles. “It is such an amazing experience for us to be able to show how grateful we are for their sacrifice,” adds the duo’s Eric Gunderson.